Most businesses assume that to grow, they need to look at the numbers. When really, they should look at the people: who is using their product, and how can that product make their lives better or easier? Companies that prioritize customer experience generate 60 percent higher profits. 86 percent of buyers will pay more for a product or service if they get a better customer experience. In most cases, business growth occurs when customers can get the maximum value from a product or service, which is why customer success is a real indicator of business growth. But customer success cannot be maximized without creating a dialogue where feedback is captured and acted upon. At Hubstaff, this is part and parcel of who we are as a company. Creating a dialogue and learning from those conversations have been critical to our growth journey. If our customers aren’t successful, neither are we. 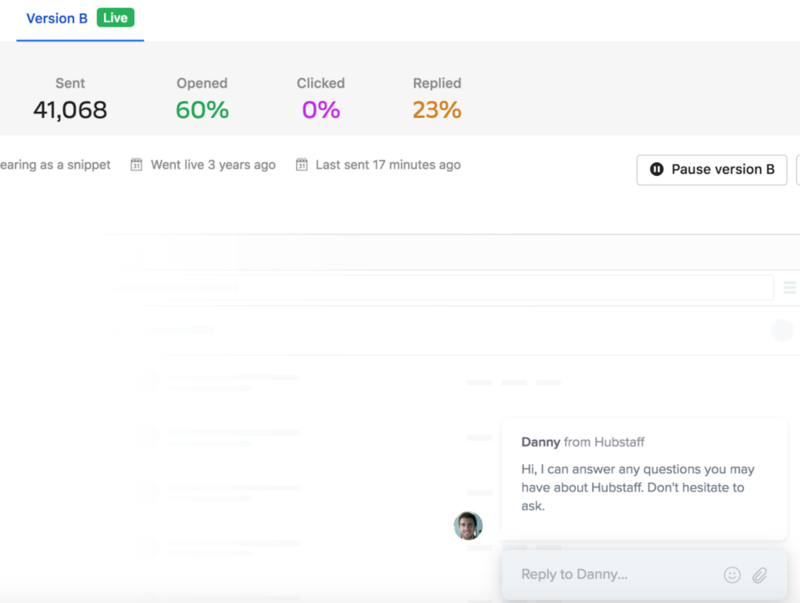 Here’s how we’ve streamlined our customer feedback processes at Hubstaff, helping us grow to serve over 7,000 teams around the world. And, here’s how you can do the same. According to a study by Statistic Brain, lack of market knowledge was the sixth-most common reason a leader failed. Take the time to genuinely do your market research, as it’s going to be a significant factor in your business growth. 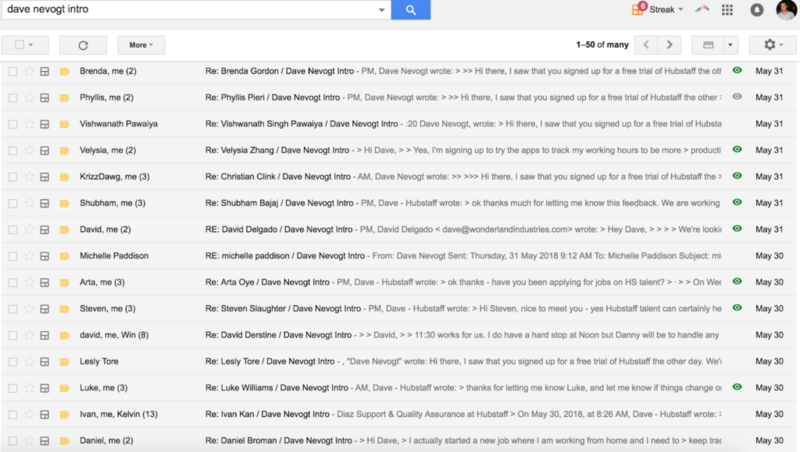 At Hubstaff, we start with an introductory message sent from my personal email address. Every new trial subscriber gets this welcome, which we send out via Intercom. While it is an automated message, all the replies come to me so I can see the responses and learn more about our customer. I reply if there’s a question, and get them in direct contact with support as needed. 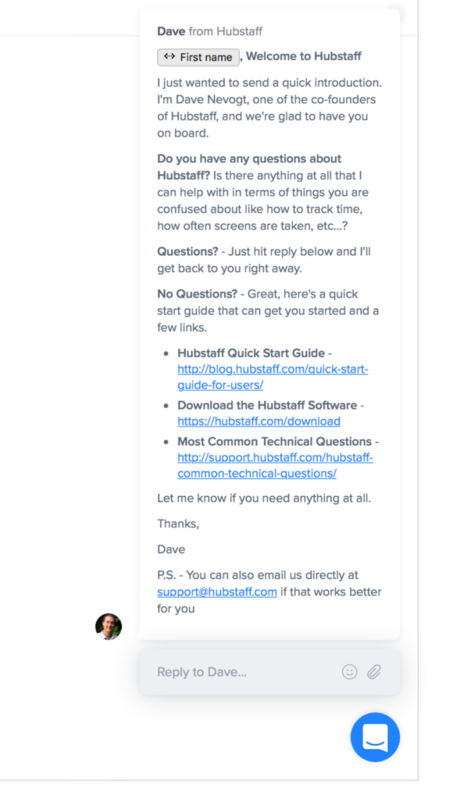 We’ve found that since the email comes to me, Hubstaff’s co-founder and CEO, we often get more detailed responses, which is incredibly valuable not only for learning about how we can help, but also in creating a connection with our customers. Many of those initial conversations turn into support-related queries that our team can easily pick up and handle. Interactions like this allow us to build trust with customers. It also helps identify support staff who are doing a great job. It isn’t uncommon to get emails mentioning a member of our team who did a great job by helping a customer with a specific problem. According to the Nielsen Global Survey of Trust in Advertising, 70 percent of consumers trust advertising on branded websites, but 83 percent trust it from someone they know. Building your brand moves you from being an untrustworthy or unknown business to someone they can trust, and who understands them. This is where customer feedback is most critical. With customer feedback, you can actively address issues and invest more in what is working well. The first step to better acquisition is to open channels for communication. Create a place for conversations with customers and prospects to happen naturally. We make an effort to be available for questions as prospective customers think of them. Intercom is a great tool for this. At Hubstaff, we often test messages like the one in the image below, which led to a 60 percent open rate and 23 percent response rate. 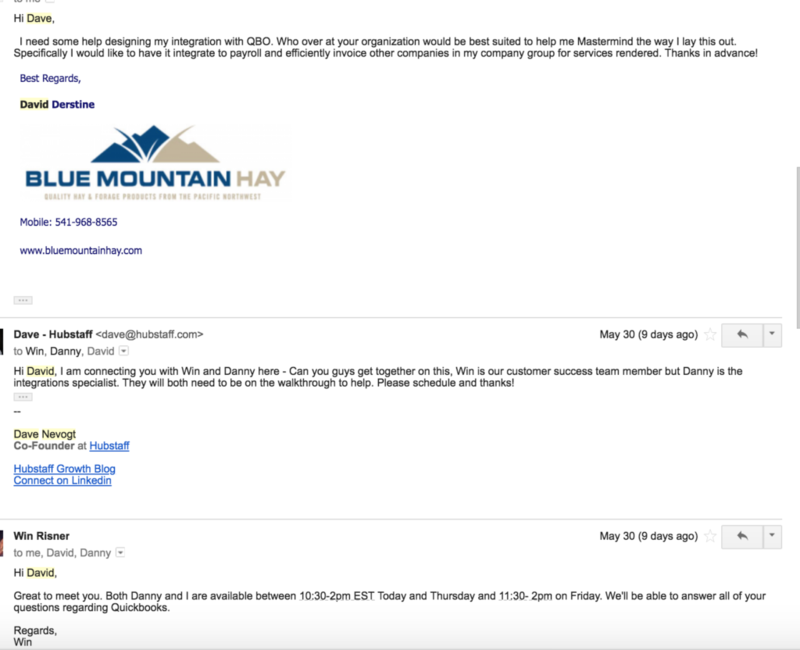 Reminding customers we’re here to help, like we do in the welcome email, helps us gain a closer connection and better understand their business goals. But it doesn’t end there. The stories we hear from customers can be drafted into testimonials and case studies that prove the value of Hubstaff to different types of organizations. 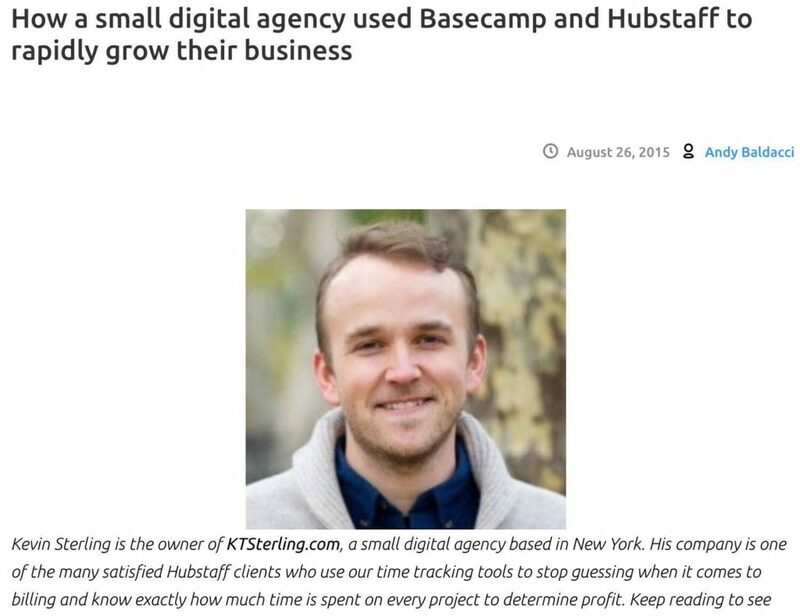 This helps potential customers relate to and see the success others are having with the system, just like in this case study about a digital agency. According to SaaS Capital, a 1 percent difference in churn can have a 12 percent impact on a company valuation in five years. 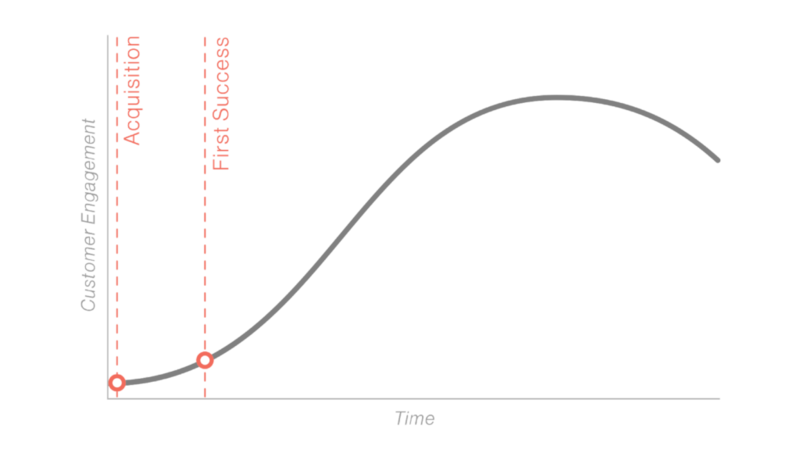 The vast majority of churn usually takes place between these milestones. Because customers get lost, confused, don’t understand something, don’t get value, or simply lose interest. Our job, therefore, is to make the onboarding process as quick and smooth as possible for customers. At Hubstaff, apart from sending a founder’s email, our goal has been to be as accessible as possible and to let customers drive the format of support at the right time. We let customers decide on the format of engagement (one-on-one demos, email, Intercom messages, blog content). These are provided at different times to engage users as they move through the onboarding process. At Hubstaff, we offer one-on-one demos for customers using Zoom. This enables us to understand what they are looking for in a time-tracking platform, and provide the most relevant information or guidance specifically for them. Many of our new features come directly from customer requests, as we’ll discuss in the product development section. Documenting feedback in this way ensures we solve their challenges, attempt to provide a workaround, or work to address issues they face in a timely fashion. Our first point of contact with customers comes soon after they create an account. Our onboarding email series aims to educate them on getting started, and to ask if they need assistance. It also helps customers get to that aha moment quickly, which means removing or addressing any potential roadblocks along the way. Checklists like the one below are made available to guide new customers as they get started. We frequently test copy and step order to make sure the sequence makes sense and is as helpful as possible. We’ve also found that walkthrough and demo videos make processes much simpler for new customers, and can be easily shared when needed. Back to our old friend, Intercom. 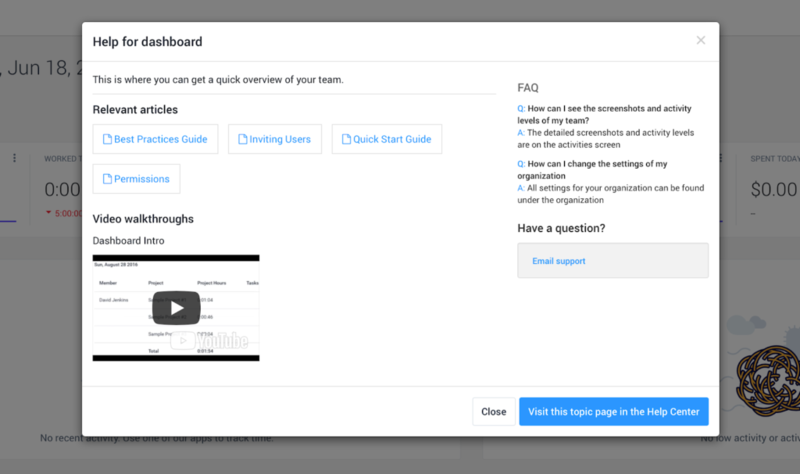 We use this onboarding opportunity to message users in the app, and offer guides, FAQs and a way to contact support if they get stuck at any point. According to research by Customer Satisfaction, almost 70 percent of the identifiable reasons customers left companies had nothing to do with the product. The prevailing reason for switching was poor quality of service. Understanding why customers are leaving or canceling gives you an understanding of your strengths and weaknesses, as well as a roadmap to a better experience. We follow a simple process, which is to display this message via Intercom in the app soon after they cancel. The answers are then documented and reviewed by our team. Sometimes, this prompt can even illuminate an easy fix, which helps us keep customers who may be on the fence. Good product teams get feedback early and often. Great product teams create their products directly from customer input. Customer feedback helps us uncover pain points and identify the features and functionality they care about most. By gathering this insight, we can prioritize product roadmaps accordingly. One of the best things we do for productivity is to laser focus on what matters, and let the rest fall to the side. Customer feedback driving new features is an example of this. If a new feature isn’t going to make our customers run their businesses more efficiently, improve productivity or save time and money, it’s not a priority. When we get feature requests via our support team, we log the request. These can get categorized and tallied in order to decide what to build next. We keep the exact messages customers send us and ask them to expand if needed. These are then used in the specifications as use cases when building features. The more background information, the more stories we have, and the most customer input we gather, the better the features will be. The great thing about gathering customer feedback is that you can start right away. Send an email, send an Intercom message, ask for feedback on social media. Some approaches like a tailored onboarding sequence may take longer to create and test, but becoming a insight-centric company can happen as soon as you decide to make your customers your inspiration. You can start by asking your customers for their thoughts, including concerns, likes, and dislikes. Once you have real life customer feedback, you’re not only able to measure customer satisfaction but you’ll also gain insights into the future. Perhaps more importantly, the biggest benefit is watching your business hit milestone after milestone, knowing you’re helping customers do the same. Dave Nevogt is the co-founder of Hubstaff and focuses on growth. Dave has founded several multi-million dollar businesses and lives in Indianapolis. He writes a blog series that teaches everything his team does to grow Hubstaff and free training on how to build a remote team.